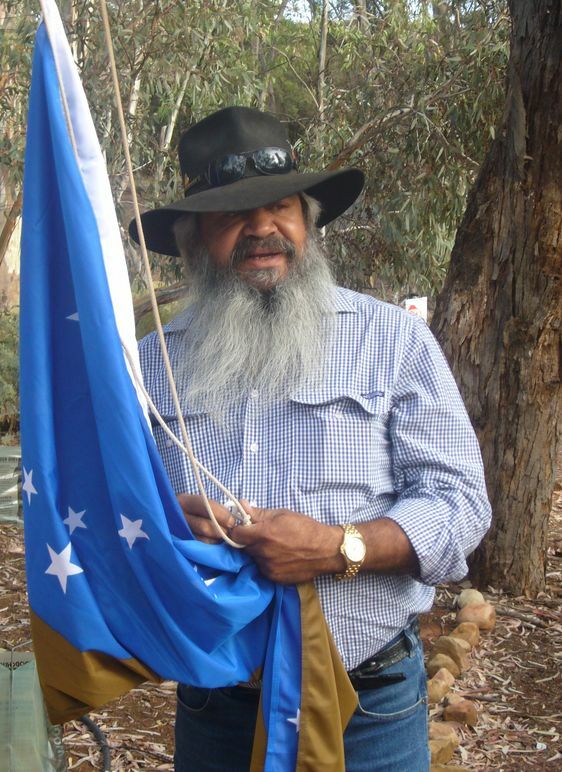 The flag of the Adnyamathanha people has been raised at Wilpena Pound Resort marking the joint venture investment of the resort by Indigenous Business Australia (IBA) and the Adnyamathanha Traditional Lands Association (ATLA). Attending the flag raising ceremony on 15th February 2013 were representatives of IBA, ATLA and Anthology. Learn more about the ownership of the resort and the strong connection Adnyamathanha people have to this land here.